کاور جدید سامسونگ گلکسی اس فور که با قیمت 69.99 دلار در سایت سامسونگ به نمایش گذاشته شده است ، علاوه بر نمایش ساعت و تاریخ ، وضعیت آنتن دهی ، پلی لیست موزیک و آلارم قابلیت شارژ کردن باتری دستگاه را بصورت بی سیم دارد . Charge your Galaxy S 4 without wires! 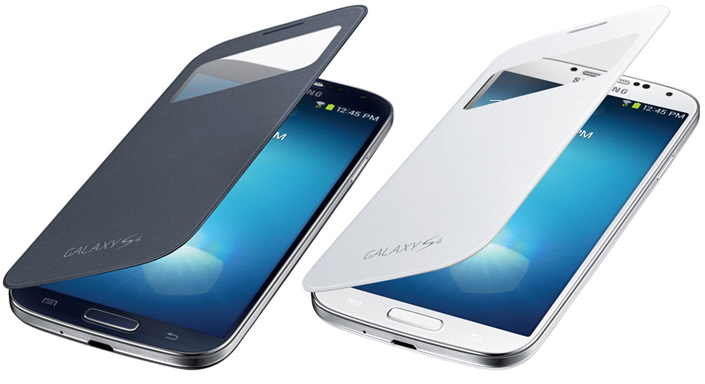 Introducing the Samsung Galaxy S 4 S-View Wireless Battery Cover. Now you can charge your Galaxy S 4 phone without the need to plug in. Once the battery cover is installed, simply place your device directly onto the Samsung Wireless Charging Pad (sold separately) and your phone begins to charge.